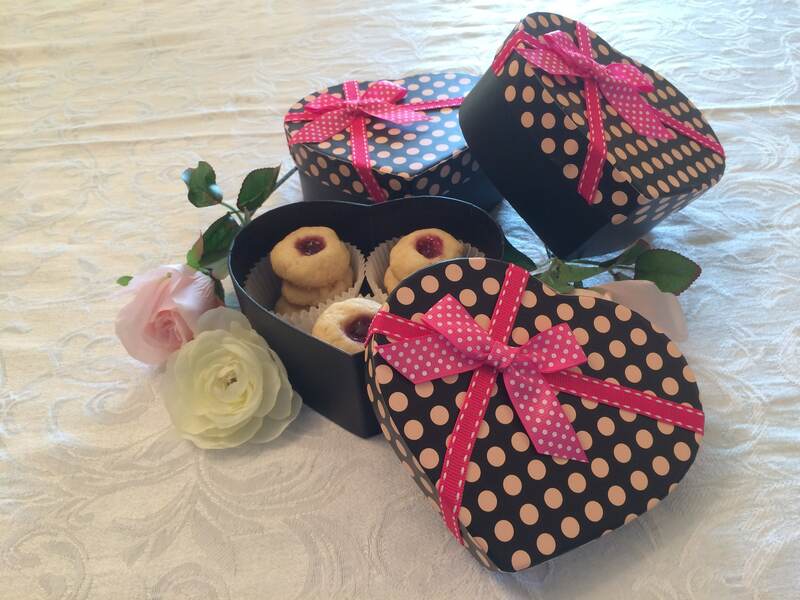 Our cookies come carefully packaged in a Valentine's Day themed heart-shaped box. The perfect gift for someone special on Valentine's Day! Approx. 12 Thumbprint cookies (about 7 oz) in 6" x 5" by 2 1/2" heart-shaped box.